RESTON, VA – DNS Made Easy, the world leader in IP Anycast DNS services, recently completed an infrastructure upgrade in its San Jose point of presence (POP). The upgrades were finalized last week, and increased the company’s core routing and network infrastructure. 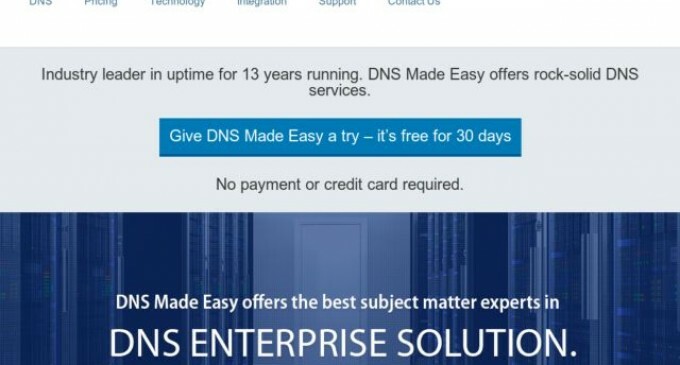 The upgrade was necessary to support the company’s Layer 2 network that runs across DNS Made Easy’s worldwide network. The upgrades will also better handle the anticipated traffic levels during the next three years. It will also help secure online presence in the case of DDoS attacks. The San Jose upgrades were also necessary to aid in the inauguration of DNS Made Easy’s launch of its newest Seattle PoP. Clients should expect increases in speed in the Northwestern United States, and increased safety and network redundancy due to the upgrades. The San Jose location will also support DNS Made Easy’s upcoming expansion in Tokyo, Japan, which is planned for January 2015. This upgraded routing provides global load balancing, multiple levels of redundancy, decreased latency, and a true distributed response to denial of service (DoS) and DDoS attacks. The system also utilizes the best server location to respond to queries, which results in a faster response time.